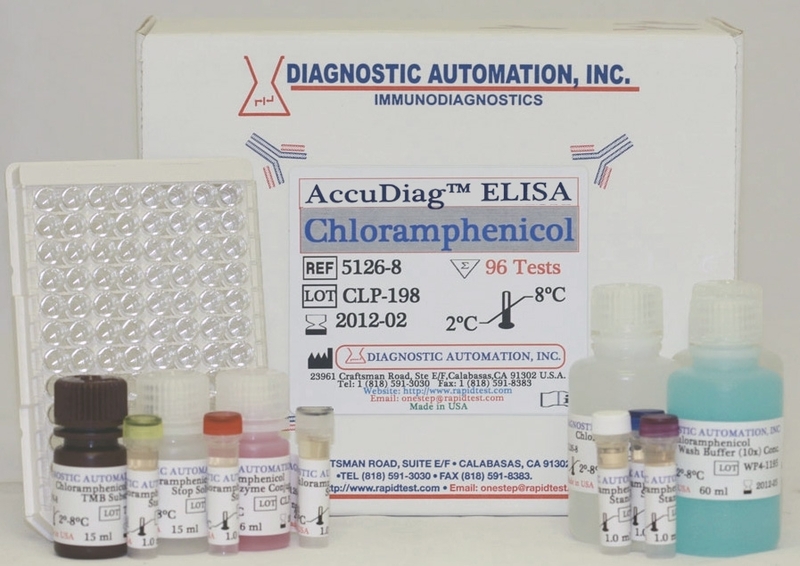 Zearalenone ELISA Test Kit is a quantitative assay based on the principle of the enzyme linked immunosorbent assay. 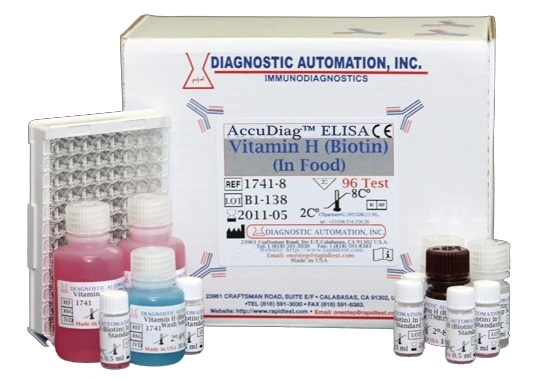 Zearalenone ELISA is a quick, economical, and sensitive method to detect zearalenone in food. Zearalenone belongs to the group of mycotoxins. Similar to other mycotoxins, zearalenone is a degradation product of the secondary metabolism. It is produced by different moulds of the Fusarium gender. These moulds infect grain and other types of food like peanuts and beans already during their growth. When a considerable amount of zearalenone contaminated feed is taken up by cows, it can also be detected in their milk. Even in beer it could be found. Zearalenone shows a strong estrogen-like activity. Thus zearalenone can cause an enlargement of the uterus, diminution of the ovarian glands and even infertility. Zearalenone is one of the main contaminants of farm products, which can be taken up by humans and animals. In order to protect humans of illnesses caused by zearalenone, a qualitative and quantitative control of threatened food is essential, together with appropriate hygienic measures, which help to prevent the development of zearalenone. 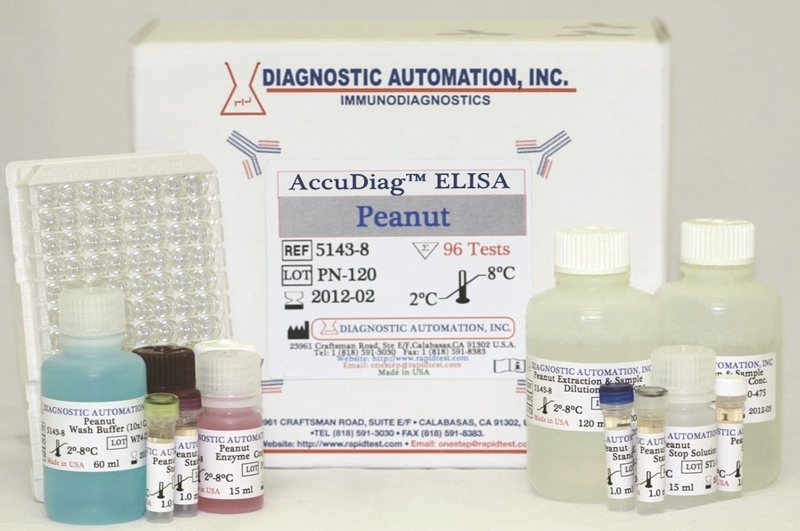 The Diagnostic Automation, Inc. quantitative test is based on the principle of the enzyme linked immunosorbent assay. A zearalenone conjugate is bound on the surface of a microtiter plate. For additional details please refer to the instructions for use. 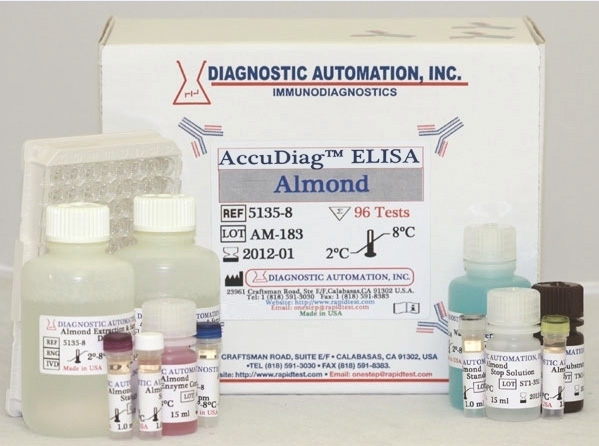 The sensitivity of Zearalenone ELISA test is 0.25 ng/mL. (based on the standard curve). The recovery of spiked grain samples was determined to 85-95 percent. The intra-assay variation of the zearalenone test was determined to percent.